Joining King are his frequent collaborators Erik Fratzke on guitar, Chris Speed and Brandon Wozniak on tenor saxes, and Adam Linz on acoustic bass-but not on the opening track, “April in Gary,” a somber, brooding piece that King plays unaccompanied on piano and seems a transition (or leftover) from his solo album. 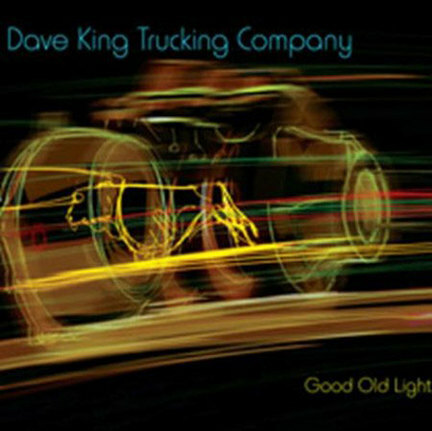 Most everything that follows from the Trucking Company is what you’d expect from a King band: lots of speed, vigor, improvisation and an eagerness to reach outside jazz itself for inspiration. A few pieces slow things down: “I Am Looking for Strength” has a prayerful feel to it, with a strong solo from Speed above suitably heavy drumming from the leader; “Church Clothes w/Wallet Chain” is a ballad-like piece highlighting Linz on bass backed by King’s brushes. “Night Tram” is the jazziest tune on the disc, leaning more Ornette than Trane and featuring several strong solos. “You Can’t Say ‘Poem in Concrete'” has a rock beat, a gentle, infectious melody and a charged solo from Wozniak. Another rocker, Fratzke’s “Hawk Over Traffic,” boasts a quirky yet hard-to-forget head, soaring sax work and a guitar break redolent of the Mahavishnu Orchestra. There’s lots of smart, joyous energy to be found here. 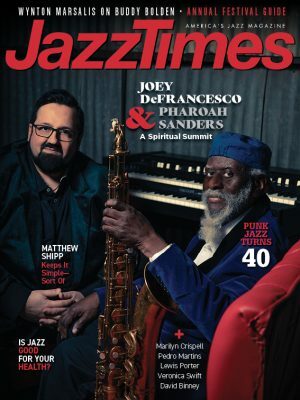 Purists may cringe and think it bombastic, but that’s what has often lured young listeners to jazz.